Häagen-Dazs launched a UK brand reset at an experiential event with Bompas & Parr. The five-pronged sensory event, entitled ‘My Extraordinary Life’, took place on 19 May at NoHo Studios in London. It formed the launch pad for a £5 million brand reset, to bring a new generation of millennial consumers on board as part of a wider portfolio update. The brand will be implementing new packaging and formats, a new experientially focused marketing programme and a new lifestyle led campaign. Each ice cream pack features an updated logo, moving away from the traditional luxury cues of black and gold towards a more modern signature burgundy brand colour. 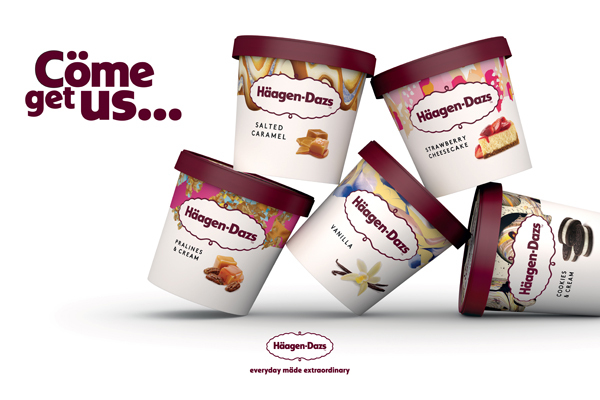 The updated packaging is rolling out across the full Häagen-Dazs range of pints, stick bars and mini cups collections across the UK. When discussing the revamped packaging designs, Dave Palmer, executive creative director at Love Creative, comments, “[We are] aiming for real iconic simplicity”. The idea is to create social currency and value authenticity for the millennial consumer market. The makeover, which is centred around ‘everyday luxury moments’, is positioned to broaden the appeal of the brand. 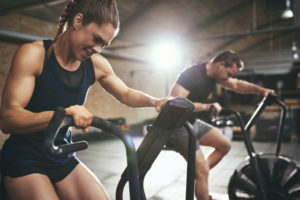 It will play into the desire of millennials to live in the moment and enjoy every day through unique and authentic experiences they can participate in, as well as share online to give them social currency, the General Mills-owned brand explains.